The 'solar cycle' reflects magnetic changes in our star, seen in the change of position as well as magnetic polarity of sunspots. 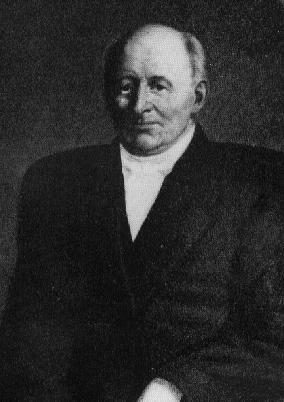 It was discovered and first described by German astronomer Samuel Heinrich Schwabe in 1843. This cycle waxes and wanes every 11 (earth) years. The last solar cycle (cycle 23, by human count) peaked in 2000-2002 then decayed to its low in 2008. A new cycle (solar cycle 24) began in that year. The 'solar maximum' is expected to occur sometime in 2012 (2013?). A 'solar maximum' implies increased solar magnetic activity - more sunspot changes, more solar flares and possibly a 'solar storm'. 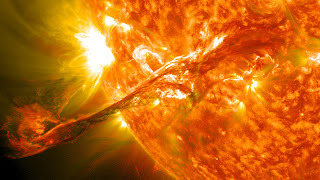 To what degree a solar storm affects our planet depends on the severity of the storm itself as well as whether the storm on the sun takes place on an area that directly faces the earth or at an angle, either resulting in a 'direct hit' of our planet or simply a glancing blow. In early 2012, a mild solar storm hit our planet resulting in brilliant auroras at both poles - electromagnetic radiation of a benign nature that showed us once again the beauty of nature (see post: Fire in the Sky). Solar storms launch energy into space in three pulses: 1. electromagnetic radiation (much like an atmospheric nuclear blast) that results in effects on the earth's magnetosphere causing remarkable auroras and, in more extreme cases, warping or thinning of our protective shield. 2. proton (ionizing) radiation from deeper inside the sun. Space-bound astronauts, unprotected by our atmosphere may be at risk of exposure to these 'deadly rays'. 3. 'Coronal Mass Ejection' (CME) - expulsion of the sun's plasma that strikes our planet. These pulses can travel at speeds of up to 4 million miles per hour. With the earth only 93 million miles from its star, that gives us less than 25 minutes once a first pulse is launched! In the year 2012, our planet was hit by severe solar storms. 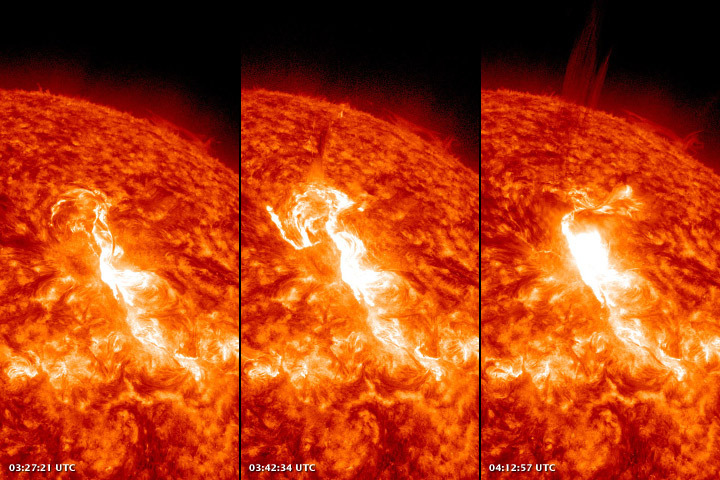 During the week of March 5, 2012, the earth was witness to increased solar 'rage'. But a big one? Has our lonely blue planet ever been struck by a large CME? A direct hit? What happened?